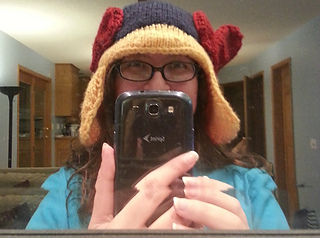 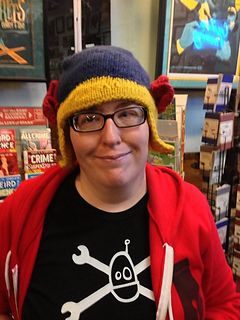 A brimless deerstalker-style earflap hat featured in the comic book Captain Marvel Issue 9, commissioned by writer Kelly Sue DeConnick and distributed on her blog. 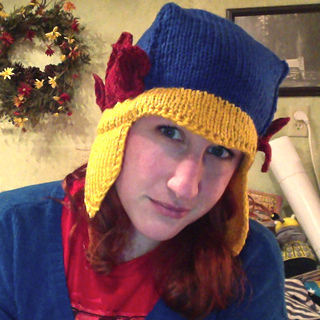 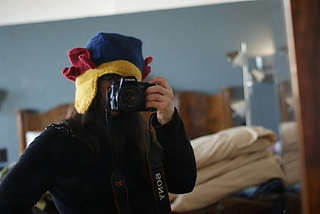 The majority of the hat is knit flat, and stitches are picked up and knit in the round to form a band. 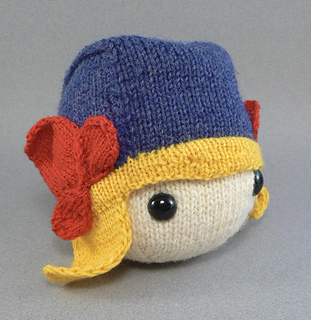 The worsted-weight contrast yarn is used to knit the decorative petals.